It is kind of funny but I love Halloween so much more as an adult as I ever did as a child. As a child I never found it fun dressing up in costumes and going to strangers houses asking for candy. It is hard to explain my total turn around but now I love Halloween. I get almost giddy as it approaches. This year Jessica and I are having our second annual Halloween party. I just dropped the invitations in the mail today. Now it is time to start decorating. I add a few new decorations to my Halloween collection every year. Above are a few things I am currently eyeing. This bat mobile and wreath are at the top of my list. Are you excited for Halloween too? Do you have your costume yet? I plan to be Red Riding Hood. 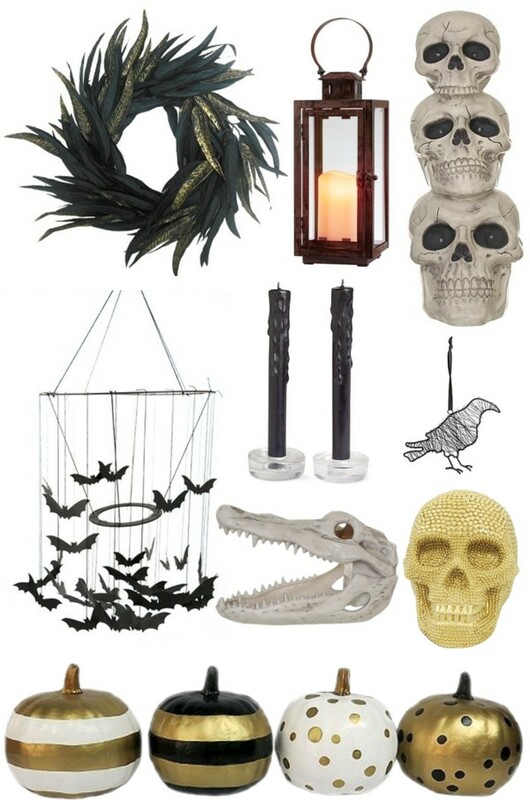 Loving these cool decor pieces for Halloween! love the gold and white pumpkins. Maybe this year we'll celebrate so little Lukas gets a taste of Halloween! His first one! 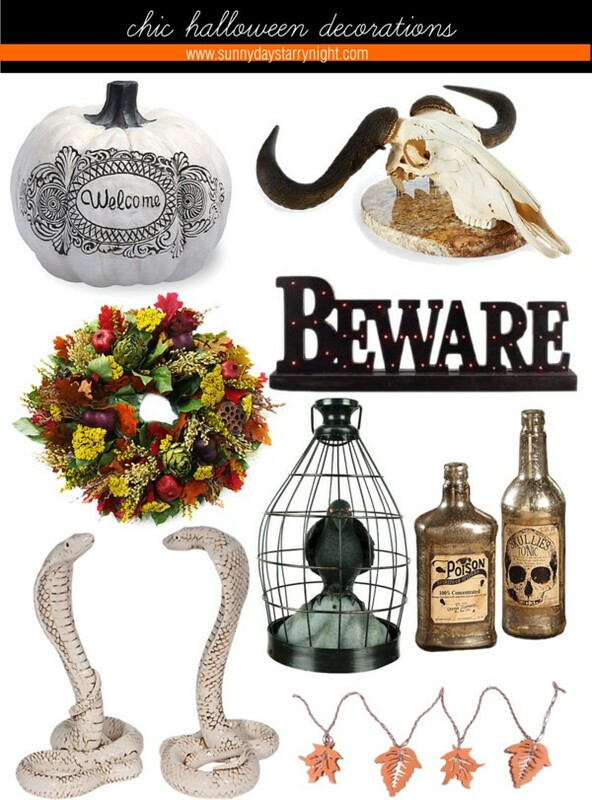 I have never been into Halloween that much but I do love the sweet treats and decor that goes along with it!